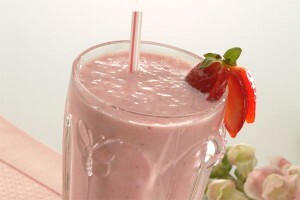 Strawberry Smoothie recipe by Sonia at PakiRecipes.com. Add all the ingredients in the blender, blend until smooth. serve with topped whipped creem.